Heart’s Day came and I should probably sharing with you my wonderful adventures with the husband or with my son, our weekly dates, love letters, flowers and chocolates but they are the farthest things from my mind. Let me tell you a short story. While stuck in traffic driving home, a billboard along Edsa Guadalupe caught my eye that says: “Segunda Mana”. I got interested, so I searched it through the web. I have been meaning to donate my pre-loved items. At first, I thought of giving it to people we know, just like we always do. On a second thought, why not establish an online garage sale? Hmmmm…. While packing all those items, I gave them a hug and kiss, as if they have life and say “I will miss you. I hope they will take care of you the way I did”. From that time, I have decided already where to give. I must admit that that I cannot easily let go of my pre-loved items… that’s reality. I have sentimental connection to it and it has not been an easy process for me. February 5 came, First Friday of the month. 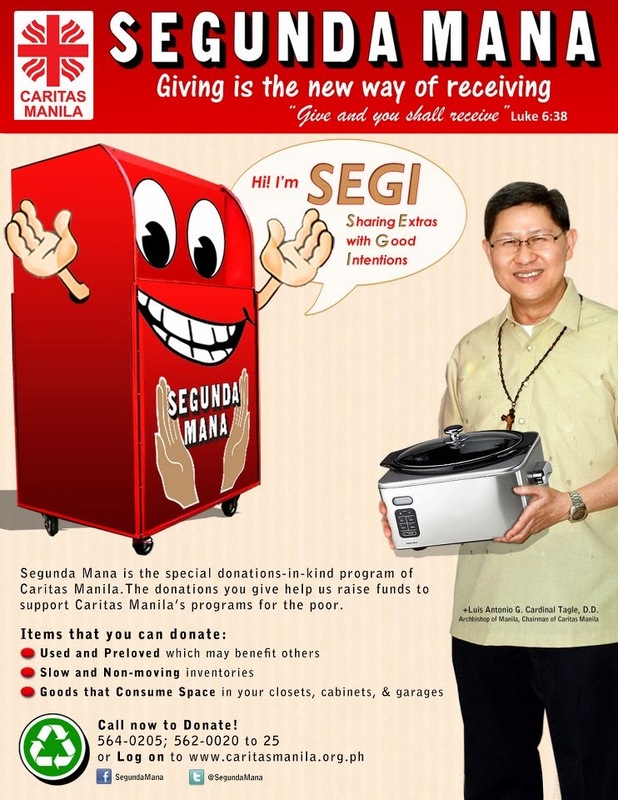 We heard mass nearby Coby’s school after attending his Portfolio Night ( an event to take look at the compilation of his works, projects and composition) .Prior to that, I called Caritas Manila and checked if Sanctuario de San Jose has Segunda Mana “SEGI”(Sharing Extras with Good Intentions) box. Voila! Unshutting the steel, big, red box, we loaded the items. Their watchword struck my heart indeed. “The more it hurts, the more it helps. True enough, it promotes the joy of giving to help those who are in need. That’s our February love. LOVE is SHARING! Literally, the term means “secondhand”. 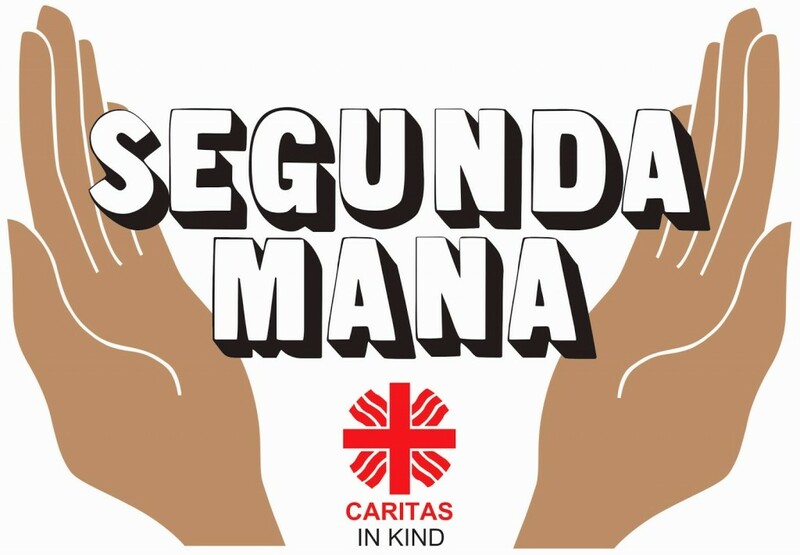 But in this case, Segunda Mana,also known as Caritas in Kind, is a fund-raising project that collects items you don’t need—used or unused—which have value and may be sold. It was launched on October 27,2007 by Caritas Manila. 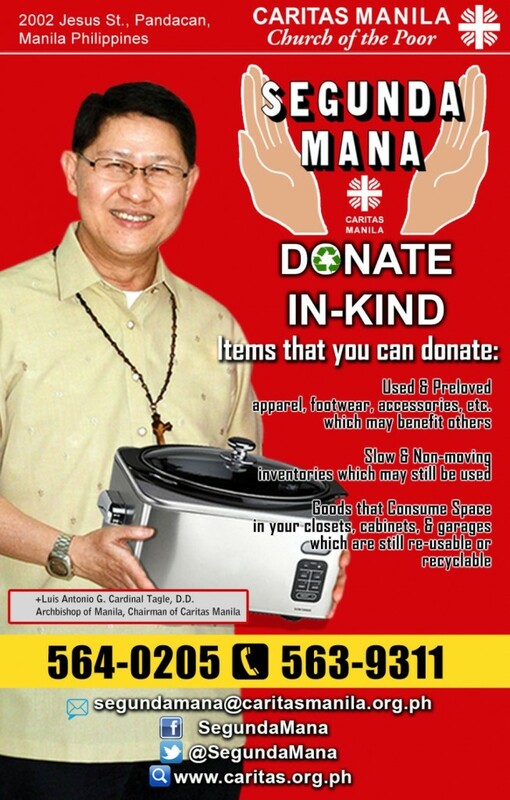 Proceeds from the sale of donated items will fund Caritas Manila’s programs for the poor.